Lithuanian prime minister Sauliaus Skvernelis is calling upon the public to take part actively in events to mark International Holocaust Remembrance Day on Sunday, January 27. The Vilnius Jewish Religious Community invite you to commemorate International Holocaust Remembrance Day at the Choral Synagogue in Vilnius at 3:30 P.M. on Monday, January 28. The following survivors will talk about their Holocaust experiences: Mejer Zelcer, Jakov Mendelevsky, Chaim Nimirovsky, Isaak Markus and Roman Švarc. Even if you can’t attend, you can take a selfie with a sign reading #WeRemember or #MesPrisimename and post it to social media. 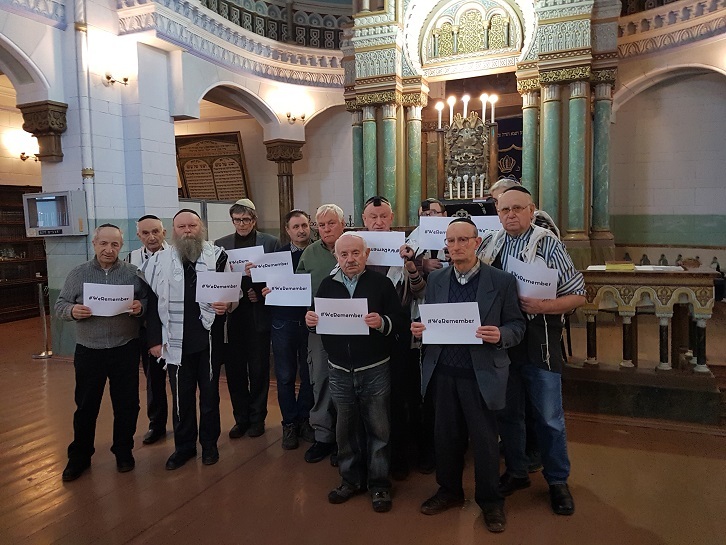 Since 2005 we have marked International Holocaust Remembrance Day (officially “International Day of Commemoration in Memory of the Victims of the Holocaust” as designated by the United Nations) and have remembered the once-large Lithuanian Jewish community 78 years ago. There have been no Jews left in the shtetlakh for a long time now, although the Jewish legacy endures in the form of the old towns and synagogues they built, and the cemeteries and mass grave sites. 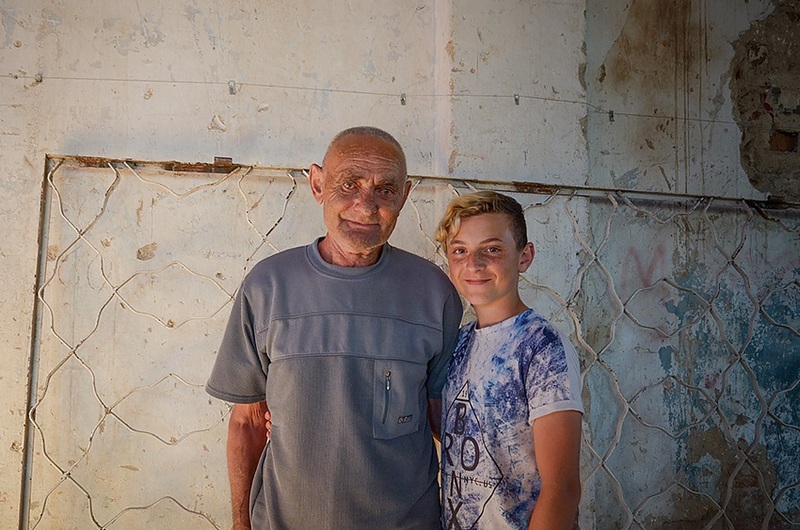 We spoke with Maushe Segal (Maušius Segalis), the last Jew of the town of Kalvarija in western Lithuania, about his life and what Holocaust Remembrance Day means to him. Segal: It’s important to me to remember, because this is a day commemorating the once-large community now dead. For many years we Jews gathered at the cemetery on September 1, since that’s the day all of the Jews of Marijampolė [Staropol] were murdered. That was before, now there are no Jews left in Kalvarija or Marijampolė. What do you remember seeing as a child, or did your mother tell you? They took my father and me to be shot on September 1, 1941. They shot him, but my mother grabbed me, I was small, from the pit in Marijampolė after the shooting. The Pasaka movie theater in Vilnius and the Israeli embassy to Lithuania invite the public to a free screening of the film Testament at the movie theater located at Šv. Ignoto street no. 4 at 2:00 P.M. on Sunday, January 27 Entrance free. The film is in Hebrew, English, German and Yiddish (Lithuanian subtitles will be provided). The Testament is a film about Holocaust historian Yoel Halberstam, who becomes involved in a legal battle over the brutal mass murder of Jews in the fictional town of Lensdorf, Austria, at the end of World War II. An influential industrialist family on whose land the massacre took place are planning a large real estate development at the mass murder site. Yoel suspects the goal of the construction is bury all memory of the event forever, but he needs proof to stop it from going forward. Swedish ambassador to Lithuania Maria Lundqvist and the Lithuanian National Martynas Mažvydas Library’s Judaica Center invite you to attend the opening of the Swedish Institute exhibit Raoul Wallenberg: I Don’t Have Another Choice, at the library in Vilnius at 5:00 P.M. on January 30. The exhibit will run till February 10. 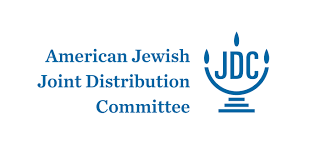 The agony of the Holocaust is known all to well to some members of the board of directors of the Lithuanian Jewish Community, it having affected them and their families deeply. 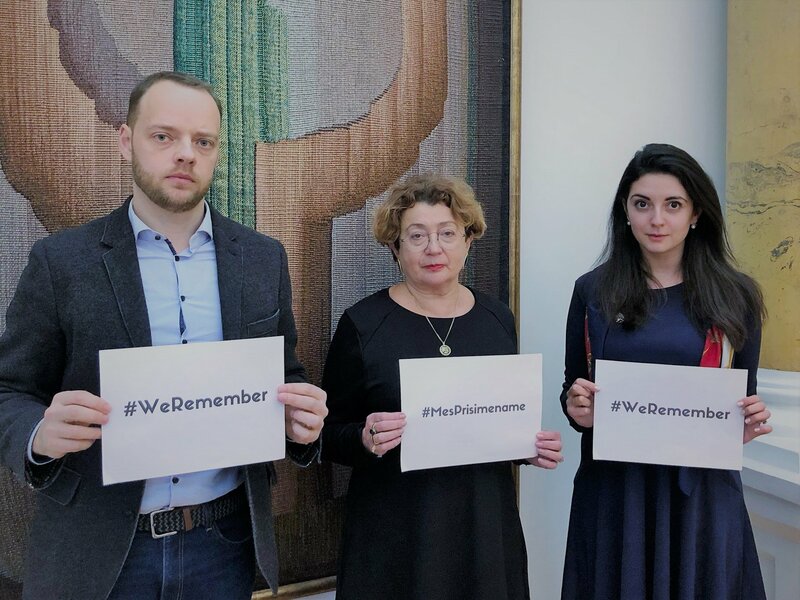 Preserve the memory of the past, don’t be apathetic, photograph yourself with a sign reading #WeRemember or #MesPrisimename. We will spread the knowledge of memory together. Screening of the film Testament aka haEdut (2017). Entrance free. Film is in Hebrew, English, German and Yiddish (Lithuanian subtitles will be provided). The exhibit When You Save a Life, You Save a World and the accompanying catalog will be presented at the Tolerance Center of the Vilna Gaon State Jewish Museum in Vilnius at 3:30 P.M. on January 24 to mark Holocaust Remembrance Day. You don’t have to be born in Lithuania to call yourself a Litvak. 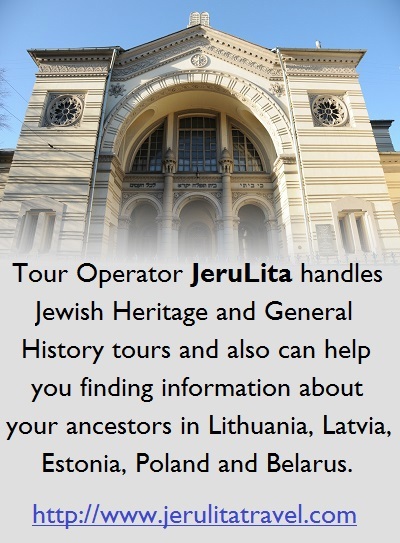 There were many years in which Lithuania’s borders kept changing, so that many Jews born in any of Lithuania’s neighboring countries or in any of the countries that had ruled or occupied Lithuania, consider themselves to be Litvaks – especially if they can also speak Yiddish. At meetings in Vilnius this past November, the first question put to the journalist from Jerusalem Post by both Faina Kukliansky, the chairwoman of the Lithuanian Jewish Community, and Fania Brancovskaja, Vilna’s last Holocaust survivor [sic], was “Do you speak Yiddish?” The interview with Brancovskaja, 96, was entirely in Yiddish, even though she is fluent in a half-dozen languages, including English. 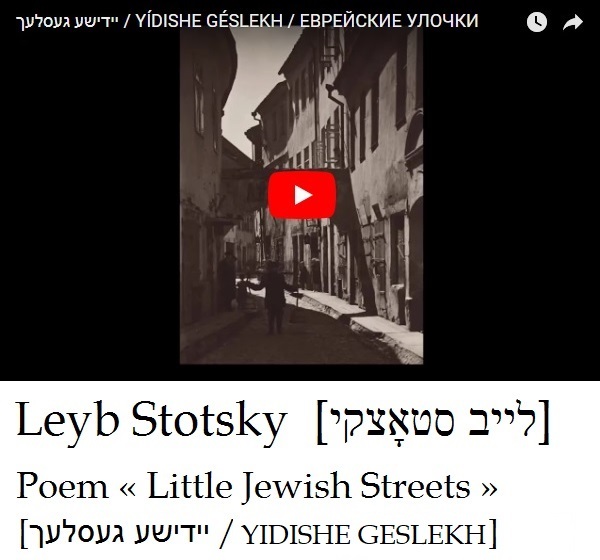 Kukliansky is also multilingual and even though the interview with her was conducted in English, every now and again, when she wanted to emphasize a point, she reverted to Yiddish. 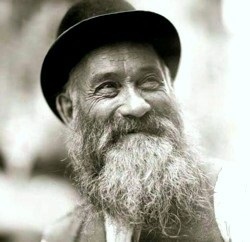 Would you like to know what an old Jew does after a delicious and satisfying lunch? I’ll tell you: he lies <af a sofke> [<a sofke> – diminutive of sofa] <un khapt a dreml> [and grabs a nap]. A few days ago I received an e-mail from motke.chabad@xxxxx.com containing an incredible proposal: the author asked me to prove to him that I really am an old Vilna Jew <an alter vilner Yid>. I wouldn’t tell you these <bobe-maise> [old wives’ tales] if not for the way he suggested proving this. 12 noon: Gathering at the Sad Jewish Mother statue, Atminties square, Vasario 16-osios street. 12:30 P.M. Gathering continues at the Ghetto Gate statue, corner of Klaipėdos and Krekenavos streets. 1:30 P.M. 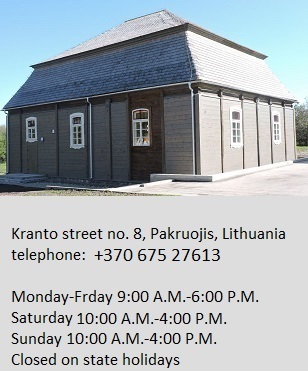 Discussion about Holocaust history, causes and perpetrators at the Panevėžys Jewish Community, Ramygalos street no. 18). Screening of film on Auschwitz-Birkenau concentration camp complex, the largest camp during the Holocaust where 1.5 million people were murdered. Let’s come together to remember the Holocaust, oppose discrimination and put a stop to hatred. Jews, Lithuanians and the Greatest Tragedy of the 20th Century. Lessons for Future Generations. Ieva Balsiūnaitė, one of the producers of the film The Snowball Rolled South about Litvaks in South Africa, gave an interview to Lithuanian public television on the eve of its Lithuanian premiere on Lithuanian TV. The film will be screened at the Tolerance Center of the Vilna Gaon State Jewish Museum, Naugarduko street no. 10/2, Vilnius, at 6:00 P.M. on January 17, 2019, to be followed by a discussion. The film contains Lithuanian and English passages and Lithuanian subtitles will be provided at this screening. The running time is 52 minutes. Entrance is free. The majority of Jews living in South Africa come from Lithuania, and many of them are celebrated artists, businesspeople, public figures. A few have been Nobel prize winners and famous actors, even an Oscar nominee. Journalist, documentary maker and one of the makers of the film The Snowball Rolled South Ieva Balsiūnaitė told Lithuanian public television about this. Some of the film’s heroes were born in Lithuania, others in South Africa, so their connections with Lithuania are varied. The older generation still finds it hard to believe how all the warm and nice stories became the Holocaust, and the main characters speak about this excitedly, emotionally and frankly, Balsiūnaitė said. You’d probably agree that few people in Lithuania know there are so many Litvaks in South Africa. How did this topic attract you and your colleagues and what made you make a documentary film about it? We made the film as a team with Jonas Jakūnas and Sofija Korf, and we developed the concept with two journalists and documentarians, Viktorija Mickutė and Lukas Keraitis. This topic first grabbed my interest a long time ago when I read an article about how almost all Jews living in South Africa have Lithuanian origins. That immediately raised a great many questions: why did so many people come from Lithuania specifically, and not from neighboring countries? What is the Litvak experience in the Republic of South Africa, and is there still some connection with Lithuania? 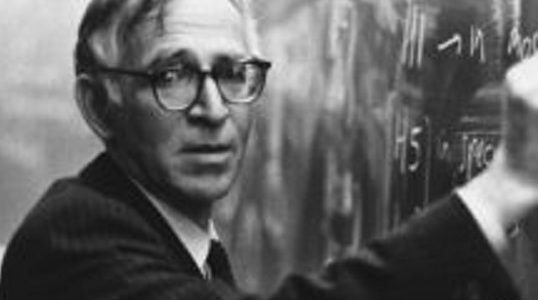 One of several Lithuanian Jews to have received the Nobel prize, Aaron Klug passed away November 20, 2018, at the age of 92. 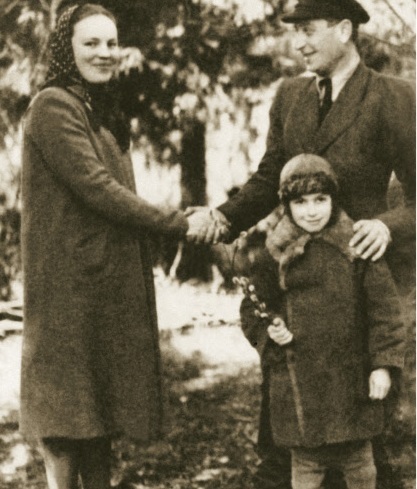 Klug was born in Želva (aka Zelva, Zelvas) near the town of Ukmergė (Vilkomir) in the Vilnius region of Lithuania on August 11, 1926, to Lazar and Bella (née Silin) Klug. Lazar Klug received both a secular and Jewish religious education, and raised and sold cattle as his father did. 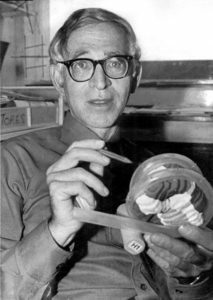 Aaron Klug wrote he remembered nothing of his place of birth, and the family moved to Durban, South Africa, when Aaron was about two. Aaron Klug was graduated from the University of Witwatersrand in Johannesburg with a bachelor’s degree in physics, chemistry and biology. He married dancer and choreographer Liebe Bobrow in 1948. Klug received a master’s degree from the University of Cape Town where he did work on X-ray crystallography. He then went to the UK, where he received a PhD in solid state physics at the University of Cambridge in 1952. Klug then worked with X-ray crystallographer Rosalind Franklin at Birkbeck College, University of London, exploring the structure of the tobacco mosaic virus. The nucleoproteins of the virus were at that time too big for imaging with X-ray crystallography but too small to see with optical microscopes. Electron microscopes could only provide two-dimensional images, and Klug pioneered a method for making 3-D images, called crystallographic electron microscopy, for which he received the Nobel prize in chemistry in 1982. He was knighted by Queen Elizabeth II in 1988. Besides his many other contributions, he and his colleagues were responsible for mapping about one third of the human genome in the Human Genome Project. He taught at Cambridge and served as the president of Britain’s Royal Society from 1995 to 2000. He also worked with Francis Crick, who received the Nobel prize with Watson for discovering the helical structure of DNA. 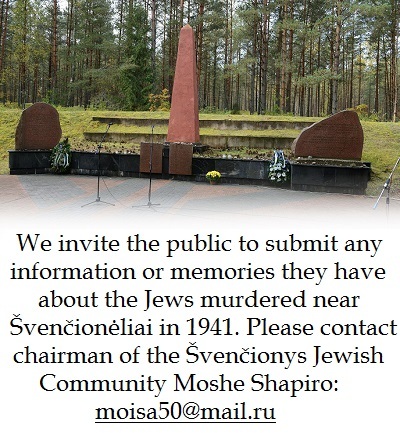 Roža Zinkevičienė, the principal of the Saulėtekis school in Vilnius, invites the public to the opening of a photography exhibit there called “Monument to a Monument (Jewish Cemetery Destroyed in 1964)” by photographer Rimantas Dichavičius. The opening is to take place at 10:00 A.M. on January 17, 2019. The school is located at Kaminkelio street no. 10 in Vilnius. The exhibit is dedicated to marking International Holocaust Remembrance Day. LONDON–Seventy years after he was shot by the Soviets, the reputation of Jonas Noreika goes on trial in Lithuania next week. Noreika–a hero to many in the Baltic state for resisting Communist subjugation of their country–stands accused of being a Nazi collaborator complicit in the Holocaust. 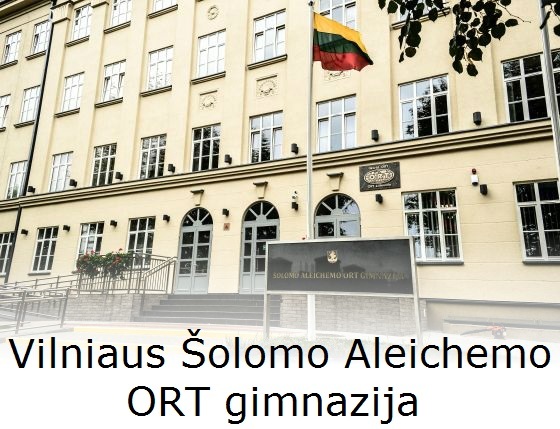 The case before the Vilnius Regional Administrative Court charges the state-funded Genocide and Resistance Research Center of Lithuania with intentionally distorting the role of Noreika in the murder of Jews. It has been brought by Grant Gochin, a Lithuanian citizen living in the US whose relatives were among Noreika’s victims. Note: The trial was postponed by the court, allegedly at the Government’s request, until March 5.